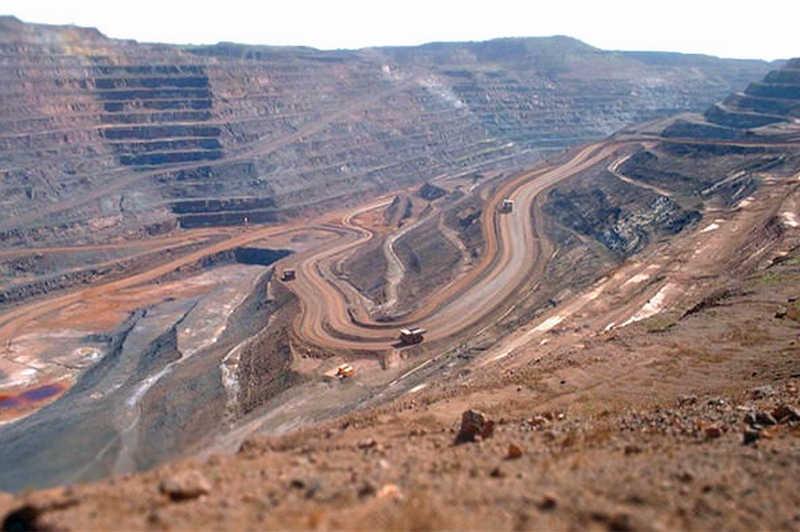 BHP’s Mt Whaleback mine is the biggest single-pit iron ore mine in the world. The Northern China import price of 62% Fe content ore enjoyed a rare day of gains on Friday to trade up 2% at $56.30 per dry metric tonne according to data supplied by The Steel Index. While prices have come under severe pressure since topping $90 in mid-March, the steelmaking raw material is still in better shape in 2017 averaging $77 a tonne year to date, compared to an average price in 2016 of $56.50. Iron ore's rebound on Friday comes after news on Thursday of a blaze at BHP Billiton's Mt Whaleback mine in Western Australia. Operations at the mine in the Pilbara region of the country near the town of Newman have been suspended. 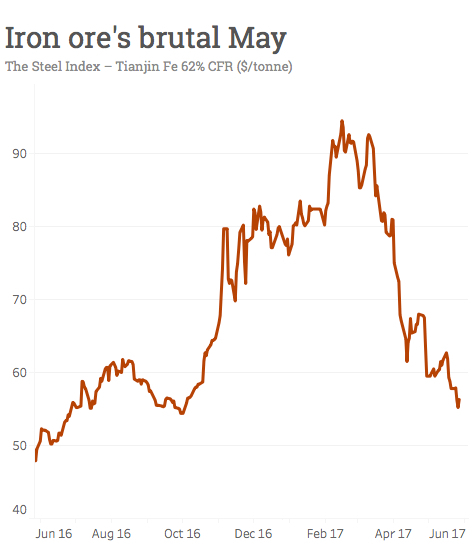 Mt Whaleback, BHP's oldest operation is one of the largest iron ore mines in the world producing 43 million tonnes last year of 62.7% iron content branded Newmont' ore.
Any market effects that the suspension of production may have is likely to be short-lived and limited. A combined 180 million tonnes of low-cost supply growth coming to market between 2016-2020 is expected to flatten and lower the cost curve in years ahead. Mine level cash costs at the Big 4 producers – Vale, Rio Tinto, BHP and Fortescue – have fallen to as little as $12–$15 a tonne.